This week's GIVEAWAY is still open. Click over to see how Jaime made a Family Meal Planning Board, and you can enter to win supplies to make your own! She's also offering a 15% discount for my readers who use the code SERENITYNOW15 between now and May 14th. 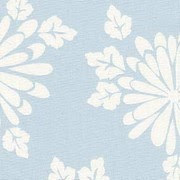 I am a little bit in love with this Karen Montgomery fabric from the Counterpoint Collection. If I can ever get my bedroom started, this fabric would make some lovely pillows! 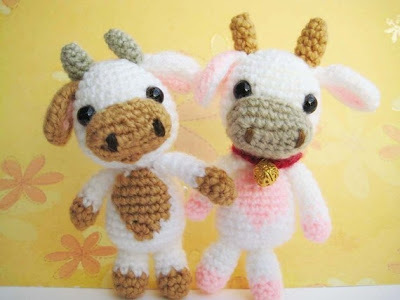 Now that I have a nephew, I'm on the lookout for cute boy stuff, and it doesn't get much cuter than these precious crocheted cows. There are all sorts of amazing patterns in this shop...a child's dream come true! 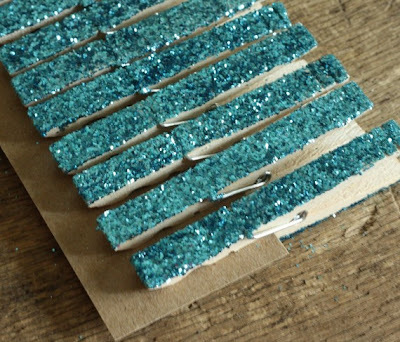 You guys just flipped for Veronica's magnetic tie-backs for curtains last week. She's on vacation in Italy right now (! 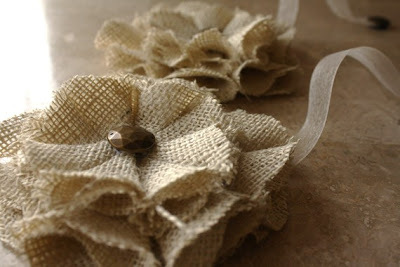 ), but I wanted to show you the burlap tie-backs one more time! Kathlyn found some fabulous Ornate Candle Holders for just $4. She is quite the thrifter! Silhouette has a new product! Check out this fabulous Limited Edition Tote for your machine...it also fits a laptop, cutting mat storage, and moveable dividers! I have a Cricut and a Silhouette, and I can't tell you how nice it would be to have a place to store my machines other than their big, bulky boxes. There will be some neat promotions coming up this month at Serenity Now...if you head over to the Silhouette shop, please be sure to use the code SERENITY when you check out. 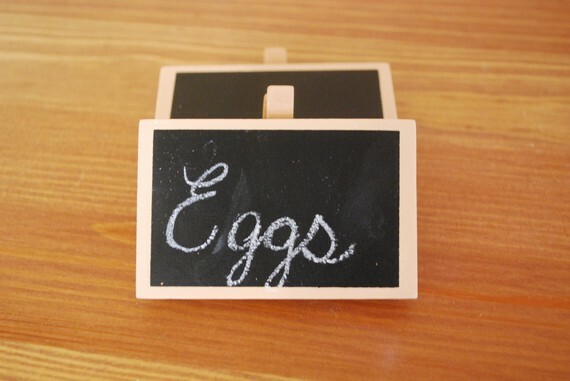 Mom in High Heels scored with these adorable chalkboard tags. It seems as if everyone in Blogland is making over their pantries--what a great addition would these be? You can view my new Spring catalog here and there's a Limited Edition Summer catalog here! 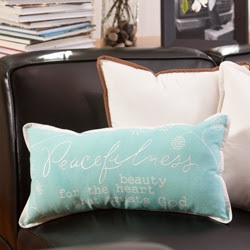 If you order online this month, you can purchase the Peacefulness Pillow Cover for just $9. That's a 64% discount! Back later this morning with some Highlighted links from the link party! Those crochet cows are adorable! What new mom or baby wouldn't love those?